New York : To treat potentially harmful breathing problems in premature babies, an Indian-origin researcher and his colleagues have developed a device that tricks infants’ brains into thinking that they are running thus prompting them to breathe. According to a study published in the journal PLOS One, the device is a pager-sized box with wires that is connected to small disks which are placed on the skin over the joints of feet and hands. Once the battery-powered machine is turned on, the disks gently vibrate, which triggers nerve fibres to alert the brain that the limbs are moving. “Long-term use of the device could decrease breathing pauses, maintain normal oxygen levels, stabilise the cardiovascular system and help improve neuro developmental outcomes in preterm infants. We may be able to bring about this change with something that is non-invasive, drug-free and has no side-effects, and there is nothing better than that,” said Kalpashri Kesavan, Neonatologist at Mattel Children’s Hospital UCLA, in the US. Each year, about 150,000 babies are born after only 23 to 34 weeks of gestation, which puts them at risk for apnea of prematurity a condition in which breathing stops often for several seconds, accompanied by severe falls in oxygenation. Premature newborns’ lungs are not fully developed and, therefore, do not have much oxygen in reserve. When breathing stops during the periods of apnea, the level of oxygen in the body goes down and the heart rate can drop. This can damage the lungs and eyes, injure the nerves to the heart, affect the hormonal system or injure the brain of a child. The researchers tested the device on 15 premature infants who were born after 23 to 34 weeks of gestation, and were experiencing breathing pauses and low oxygen. The disks were placed on one hand and one foot, and the device was turned on for six hours at a time, followed by six hours off, for a total of 24 hours. 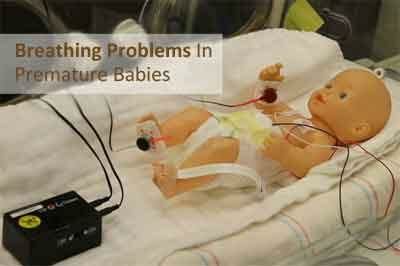 The scientists compared the babies’ vital signs during the periods when the device was on and off. They found that when it was on, the number of incidents when babies’ oxygen levels were low was reduced by 33 per cent and the number of breathing pauses was 40 per cent lower than when it was off. The device also reduced low-heart-rate episodes by 65 per cent, which is especially significant because slow heart rate can impair the flow of blood to vital tissues.